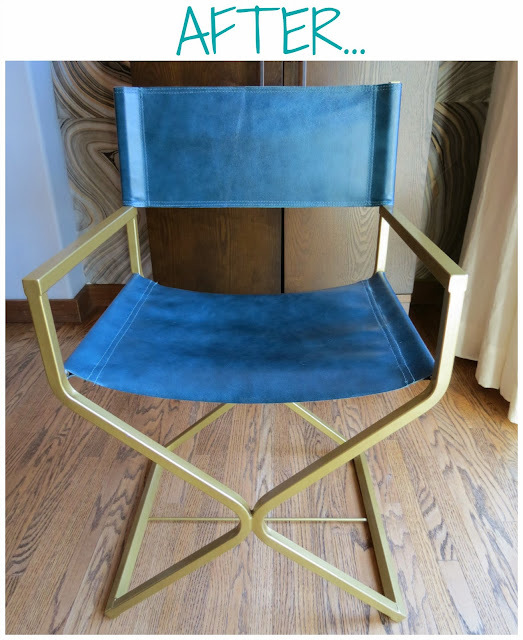 Rosa Beltran Design: SNEAK PEEK: BRASS & PEACOCK BLUE LEATHER DINING CHAIRS! 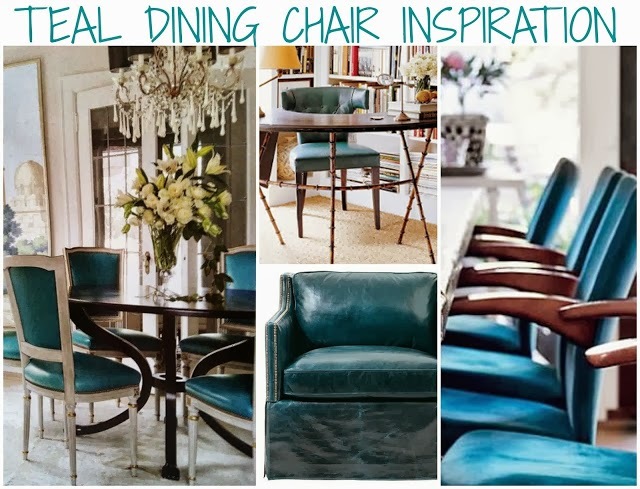 SNEAK PEEK: BRASS & PEACOCK BLUE LEATHER DINING CHAIRS! You guys! 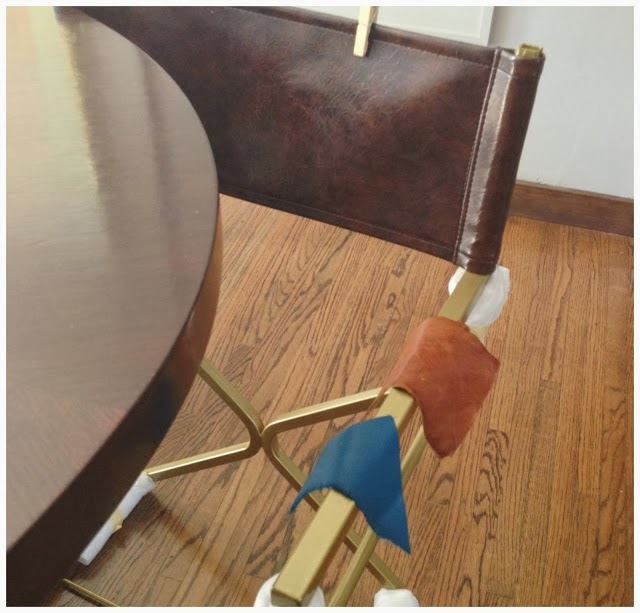 I picked up the prototype for my peacock blue leather dining chairs that I told you all about here, here, and here. 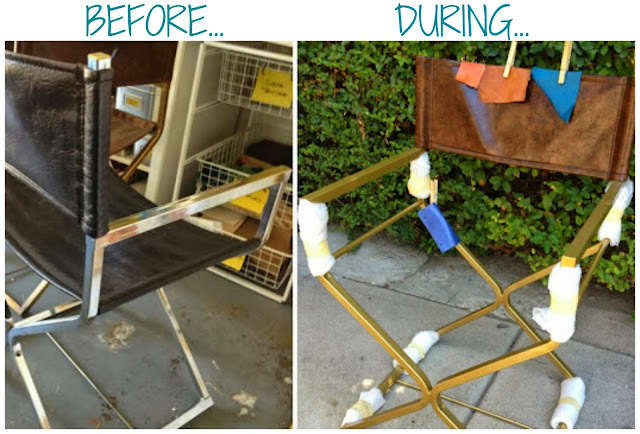 Inspired by all these gorgeous metal dining chairs below, I was excited to find a set of mid-century director chairs made right here in LA by a company called Virtue Brothers. I actually found the first 2 in an antique store, and scored the remaining 4 on Craigslist. I've since seen them listed on Etsy and Ebay as well. I am SO glad I went with this choice...I love it!! 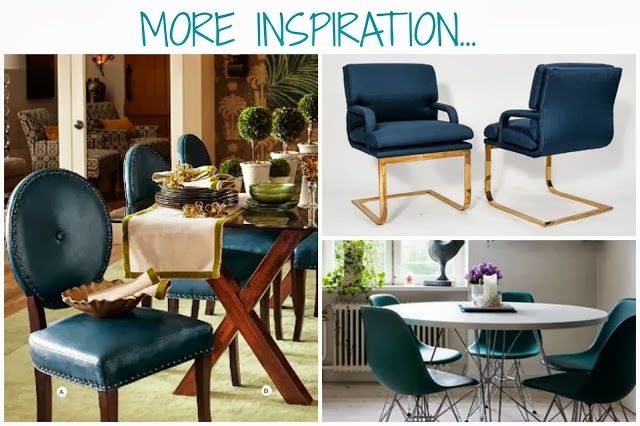 The teal blue and brass look great together! This combo is just wildly better than the cognac shade I first considered, which is my usual favorite "go-to" color for leather ... just look at Amber's inspiring shots here to see what I mean about that. But in this case it was just too much brown on brown on brown. 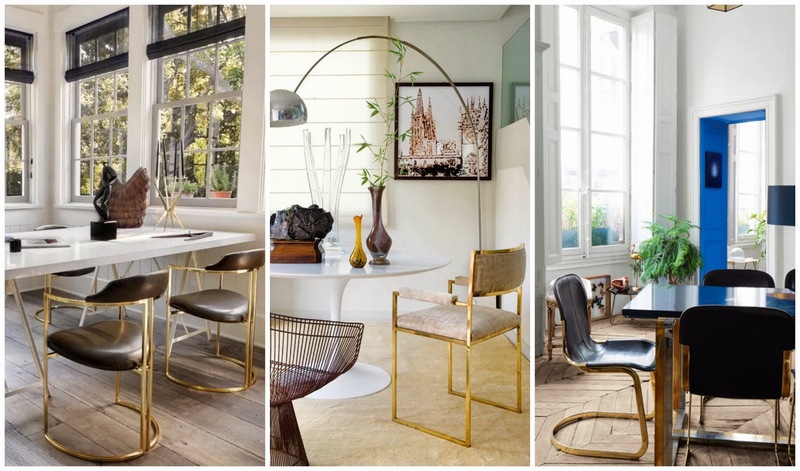 It won't be long until I can show you images of these chairs situated in my dining room with the new wall art I'm dying to tell you all about! Hint: it's another one of those DIY large scale photographs I like to do ... you're gonna love, I promise.